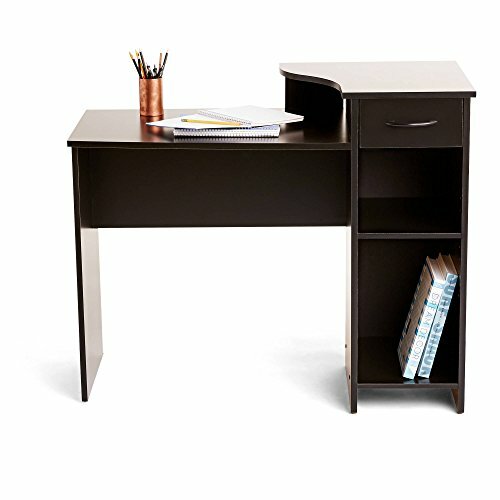 Get motivated and tackle homework like a champ with this student desk from Mainstays. It features a spacious work surface for all your desk essentials laptop, textbooks, highlighters and your favorite source of caffeine. It accommodates most CPU towers and provides ample storage space with an easy gliding drawer and adjustable shelf. With multiple finishes, this desk gets an A+ for style. If you have any questions about this product by Toys & Child, contact us by completing and submitting the form below. If you are looking for a specif part number, please include it with your message.